This promotion will only available from through the end of this year, December 31, 2015. To enter the code your class(es) must be in the shopping cart. Click to view the shopping cart at the top and enter the promo code there. The discount will automatically be added and calculated on your order. 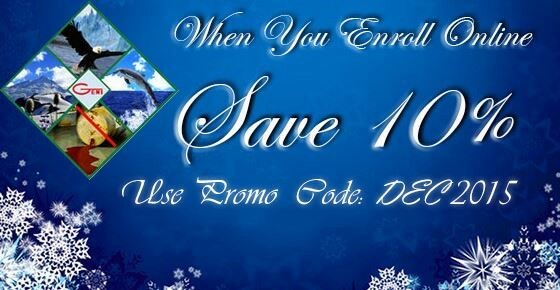 This discount only applies to 2015 courses and is available until the end of the year. Ask us about volume discounts on our 2016 courses! Global Environmental Network, Inc. has trained professionals on staff who provide Safety Training to meet your needs. Call today to schedule your training! !